I was told about pinterest a few months ago and yes I admit that I have a slight addiction to it. I love surfing the web and finding lots of great ideas and beautiful things. And now I can place all these ideas and things on a virtual pin board. 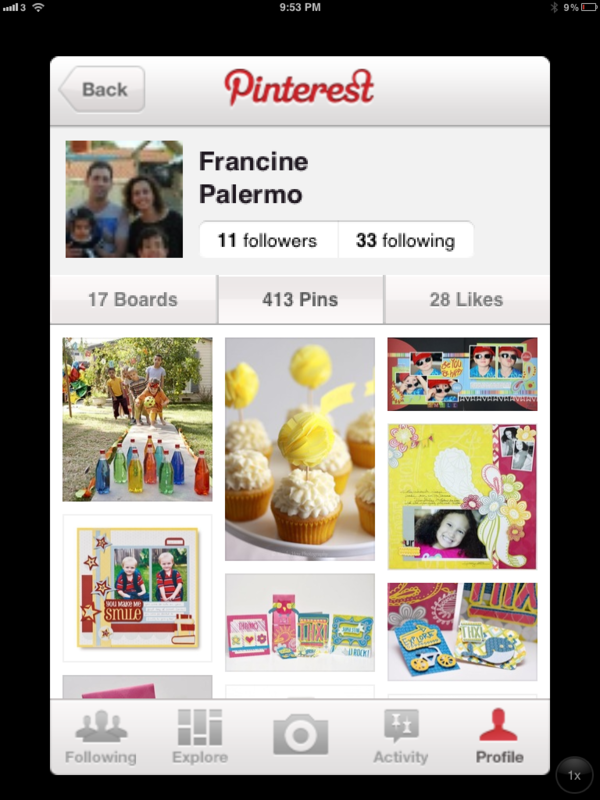 Pintrest lets you organize and share all the things you find on the web. People use pinboards to plan their weddings, decorate their homes, and organize recipes. You can browse pinboards created by other people and discover new things and get inspiration from people who share your interests. I pin ideas for scrapbooking, recipes, home decorating, DIY, handy hints, parties and many more. In my previous blog you can see I got some great recipes for Dave’s Breaky Birthday. All you need to do to get started is ‘request an invite’ and then follow me. But I will warn you it is very ADDICTIVE!